Circuit of The Americas is proud to announce the debut of COTA Karting leagues! Starting later this month, COTA Karting will offer six-week leagues in its CHAMP class for fifteen racers per season. You and fourteen other racers will duke it out for on-track supremacy in a Grand Prix style showdown, complete with podium ceremonies and on-going championship standings. Each league night includes two qualifying sessions and one final heat with points distributed based on finishing position. 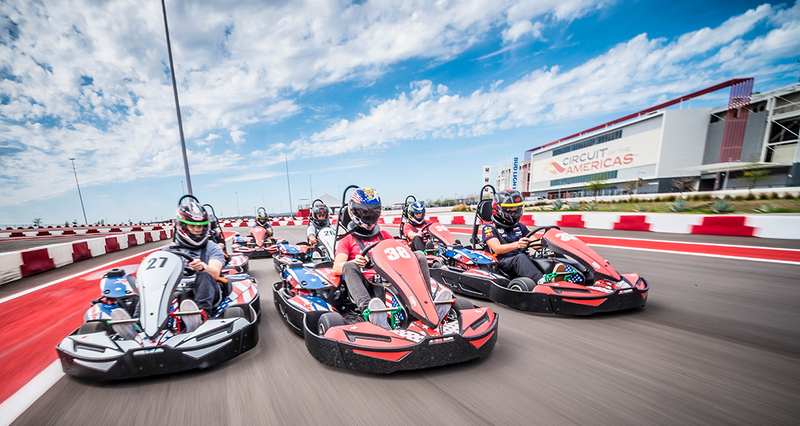 The crown jewel of COTA Karting, our Champ class of karts reaches speeds of 55mph. Drivers must be at least 16 years old and hold a valid drivers license to participate. Champ league nights take place from 7PM to 8PM every Thursday beginning May 31. The season runs until June 28. League dues are $375 and cover all necessary equipment. Want to get in on our first karting season? Act fast! Seats are filling up quickly. Keep an eye on cotakarting.com for future karting league dates.